hmmm… the smell of sweet rolls baking in the oven on a lazy Sunday morning. What could be better? The smell of Pillsbury’s Orange Sweet Rolls, is what could be better! And thanks to My Blog Spark I got that delicious experience last Sunday. The aroma alone was enough to bring my husband and son out of bed… and the taste was heavenly. We enjoyed these tasty sweet rolls and I’ve since bought more (at my husband’s insistence). I also received a photo album… perfect to store those lazy Sunday morning memories in. If you’d like to try the Orange Sweet Rolls for yourself – I have good news – thanks to My Blog Spark and Pillsbury – you can win a VIP coupon for a free can of Pillsbury Orange Sweet Rolls, and a cute photo album, just follow the directions below. Good luck! To enter – just share with us how you make your Sunday mornings special or what is your favorite Sunday morning memory, in the comments. Become a fan of Blog by Donna on Facebook (in the right sidebar), leave another comment saying you’re a FB fan and get 2 extra entries. Subscribe to Blog by Donna and leave another comment stating you’ve subscribed for 2 extra entries. Grab a Blog by Donna badge on the right and put it on your blog or site and leave a comment with the link to where you added it for 5 extra entries. Blog about this contest with a link to this contest on your blog for 5 extra entries. Tweet this giveaway – Enter to win a Pillsbury Orange Sweet Rolls Gift Pack from http://bit.ly/c5nCrb – and then come back and leave a comment with the link to your tweet, for an extra entry each day. Please be sure to leave separate comments. Ex. : if you become a Facebook fan or already are, leave 2 more comments saying you are a FB fan. This contest ends March 13, 2010 5:00 pm EST. 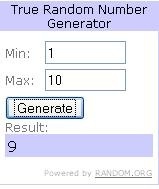 l will draw a winner at Random.org and announce the winner by email. You’ll have 48 hours to claim your prize. (Please note: The VIP coupon for a free Orange Sweet rolls and photo album were given to Blog by Donna for review and giveaway purposes by My Blog Spark and Pillsbury and is not considered by us as payment for the review, we do not, and never will, accept payment from companies to review their products). We make waffles on Sunday mornings to make it special. On sundays I open up my sunday paper and dig out my coupons while my son searches for the comics, and we usually enjoy cereal or eggs and bacon.